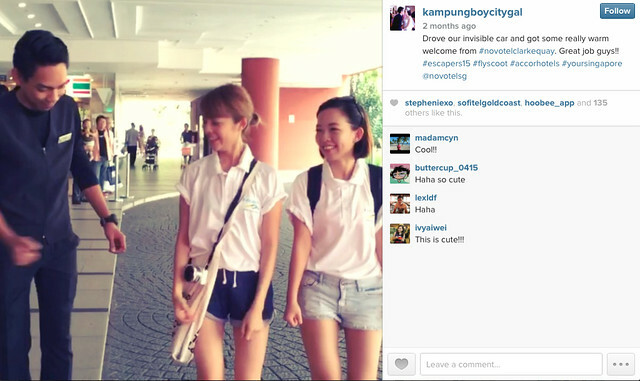 #Escapers 15 – Your Singapore! Last month, both Bobostephanie and I were privilege enough to be amongst the 17 prominent bloggers from nine Asia Pacific countries, who participated in the #escapers15 travel challenge which began in Singapore and spread across Brisbane, Sunshine Coast and Gold Coast Australia. #Escapers15 is social media initiatives sponsored by Accor Hotels Group, Fly Scoot, Tourism of Queensland and Tourism of Singapore. 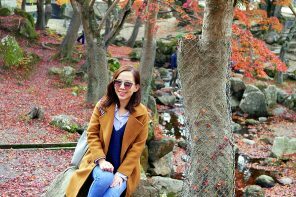 It is like an Amazing Race for bloggers, where we need to compete with each other (in a friendly way), uncovering a range of clues and challenges as we post up a storm on social media. 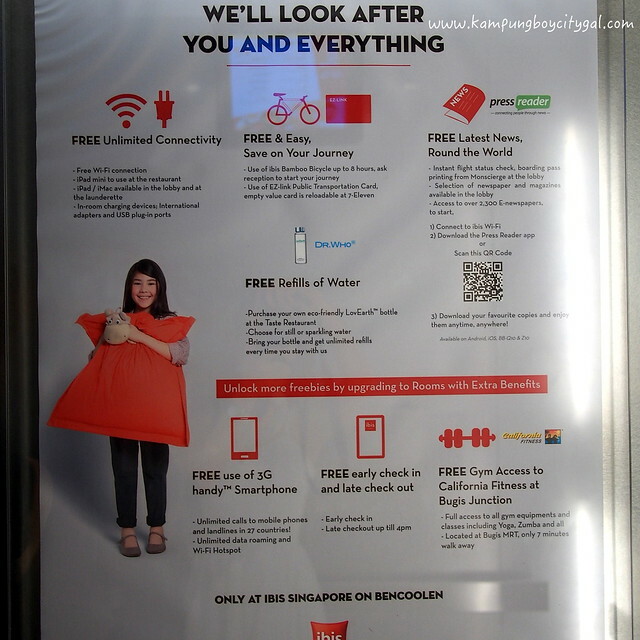 Our adventure began in Singapore and we were being checked-into ibis Singapore on Bencoolen, a budget hotel from Accor Hotels. 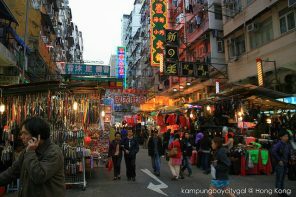 The hotel is located very near to Bugis Street, Bugis Junction and directly behind my favourite Kwan Im Thong Hood Cho Temple. 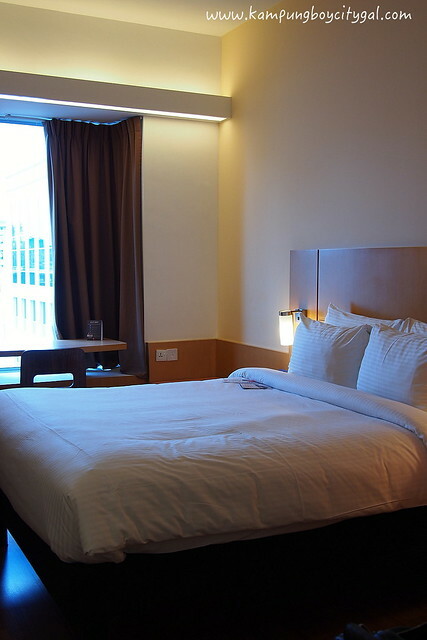 It is also around 8 minutes walk to Bugis MRT station and the hotel offers free use of a bicycle and EZ link card. 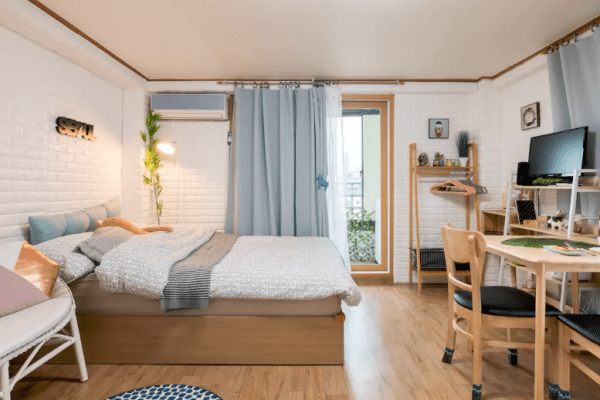 I was really impressed with the new ibis bedding. It was entirely designed, tested and perfected by ibis innovation department. I slept like a baby that night. 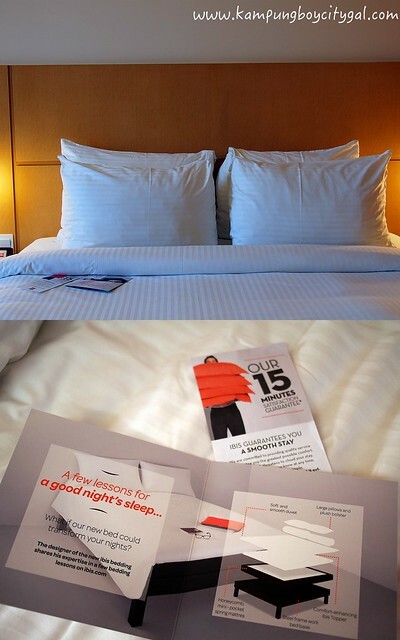 Apart from that, ibis also offers 15 minutes guarantee for their hotel’s guest request. The ibis teams have 15 minutes on the clock to sort it out. And if they do not manage to chase away this pesky cloud in the specified time, that service is on the hotel. 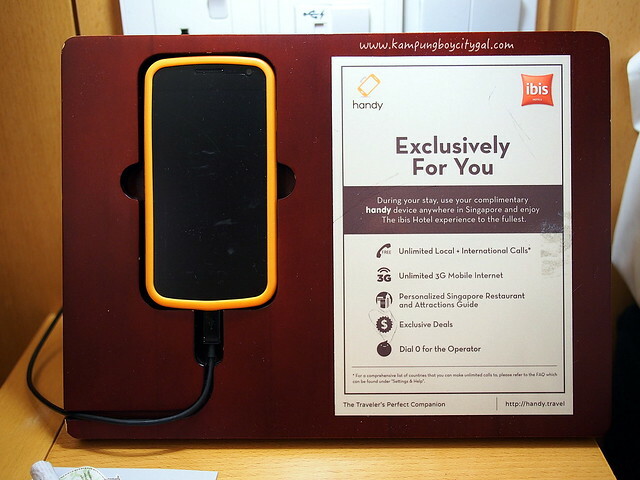 Our standard queen room came equipped with extra benefits such as a handy™ smartphone which provides guests with unlimited 3G internet, local and international calls, and a complete city guide to Singapore. 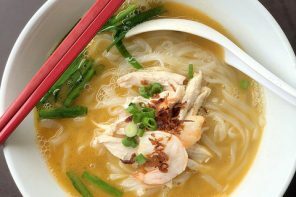 It really makes our lives easier, as we use it a lot as we traveled around the island, looking for best food ideas and transportation guides. Even the toilet is clean and well equipped. 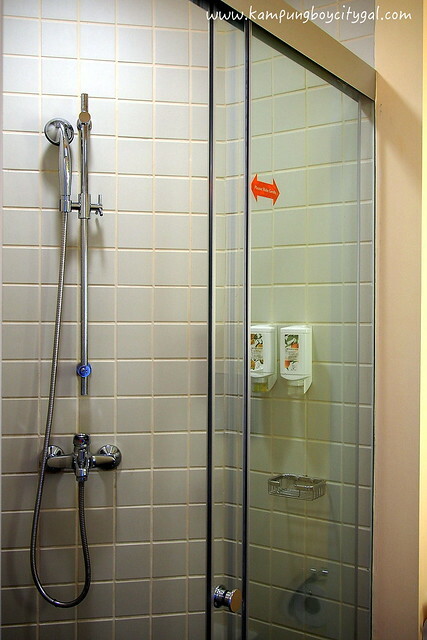 I love the idea of having shampoo and soap in a large squeeze bottle hanging on the wall. 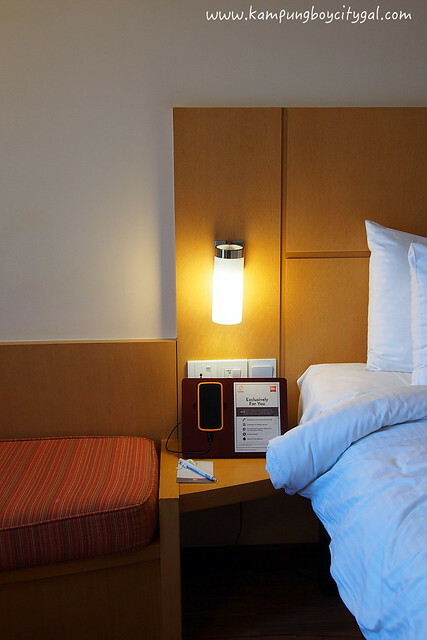 As you can see from the poster above, ibis Singapore on Bencoolen is the first hotel in Singapore to implement PLANET 21, a sustainable development programme of Accor Group. 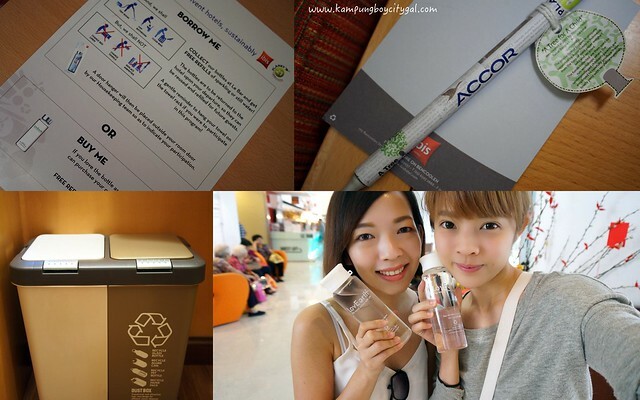 Some of the initiatives are replacing traditional pens with Eco-Pen made from recycled newspaper, recycling waste and offers Love Earth bottle for free refills of water in any ibis hotel. 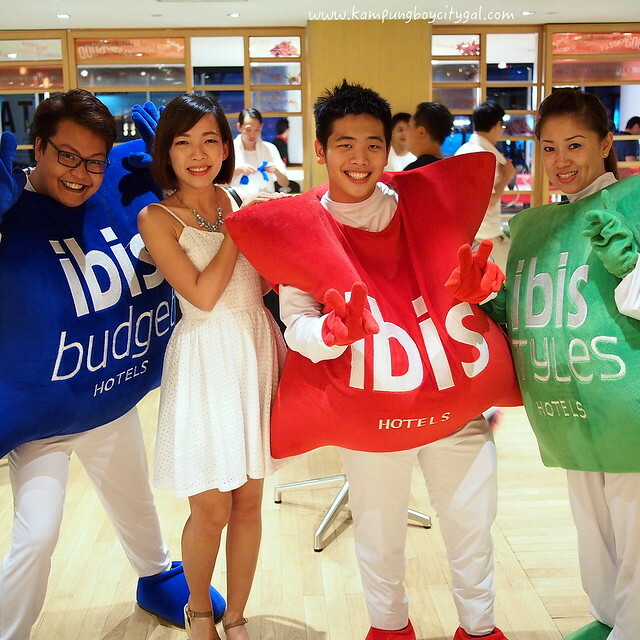 ibis Singapore on Bencoolen hosted a welcome dinner for all 17 of us. It was our first time meeting everyone. Despite the language barrier, we hung out pretty well. What’s on the menu? 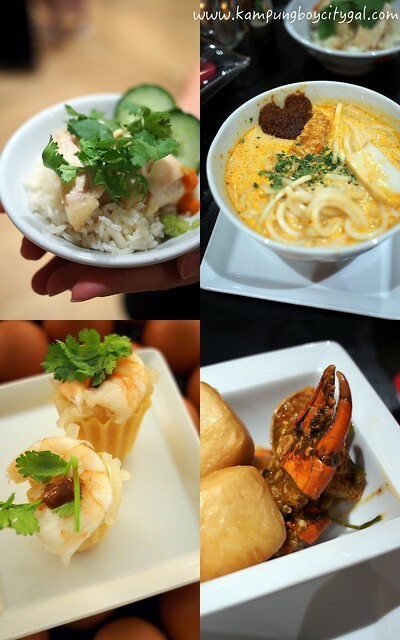 We had a great variety of local Singaporean food such as chicken rice, curry laksa, psi tee and chili crab. As much as I hate to admit this (as a Malaysian), the chicken rice and curry laksa were pretty damn good! 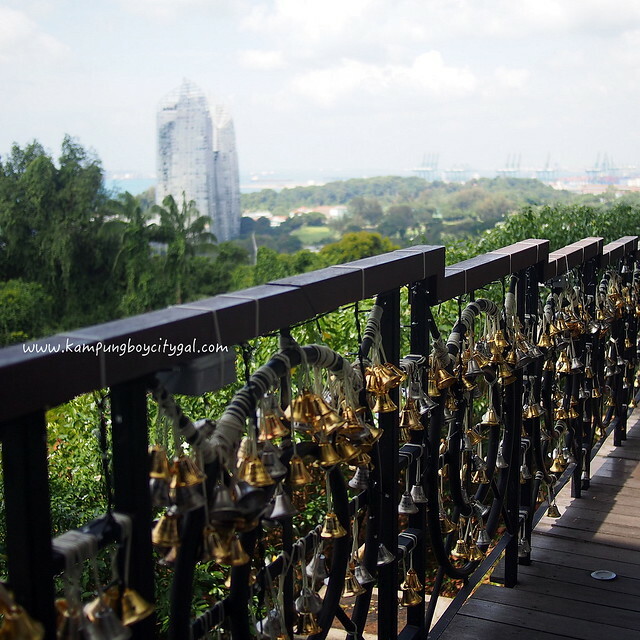 Our first task took us to Mount Faber! 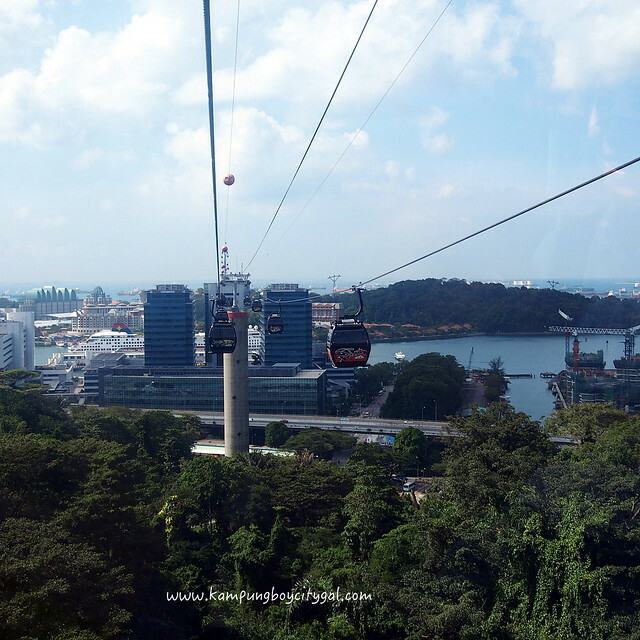 It is just a cable car ride away from Sentosa! Despite being a regular visitor to Singapore, I’ve never been to Mount Faber nor heard of its mighty existence (shame on me). 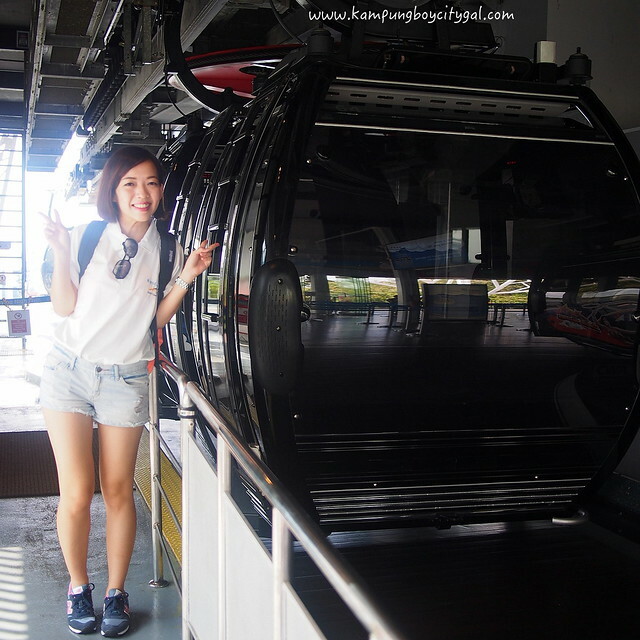 The #Escapers15 challenge allows me to experience a “thrill” cable car ride to the Mount Faber (SGD 29 return). 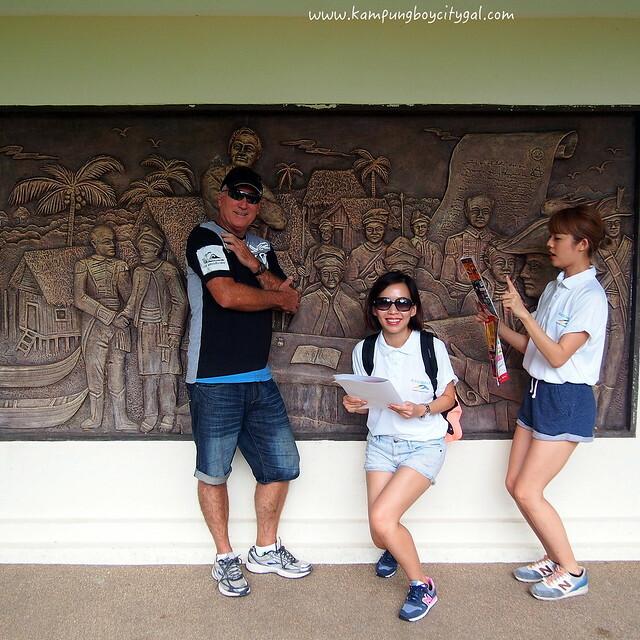 Here we need to stop a stranger and convince him/her to join me in a pic in front of the copper mural depicting the history of Singapore. Mission accomplished! 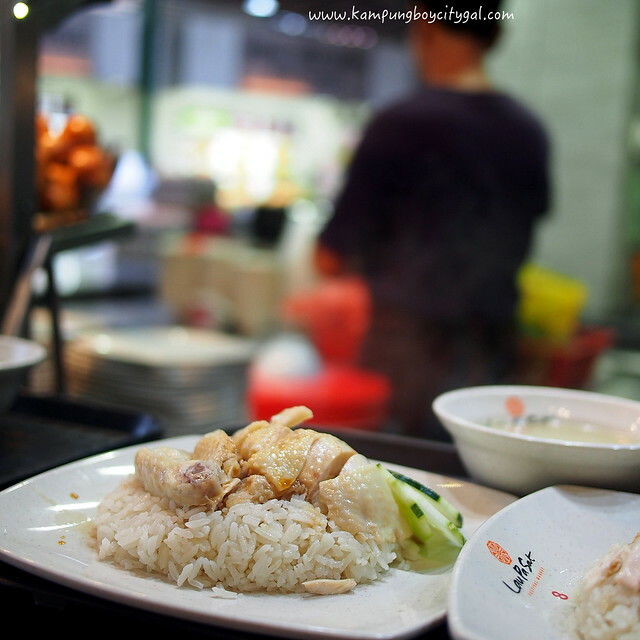 Our second task revolves around chicken rice and local dessert in a 19th century old food court. Lao Pa Sat it is! 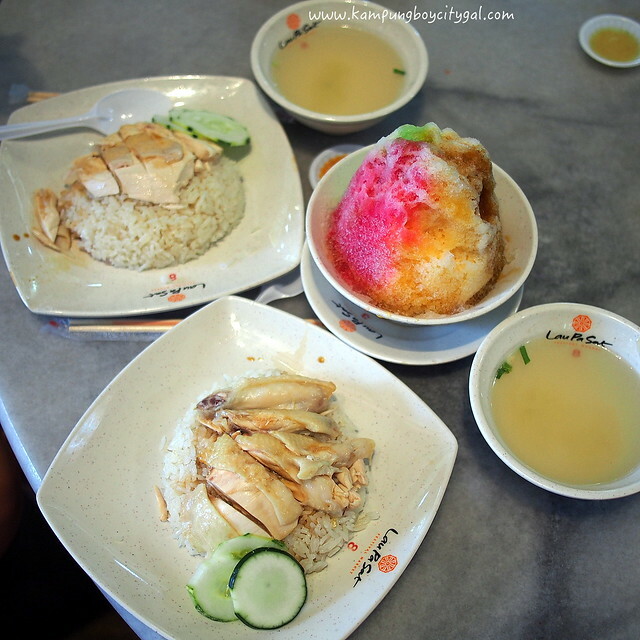 For only SGD 6, we got to enjoy a plate of authentic Hainanese chicken rice and sweet ice kacang. Bliss! 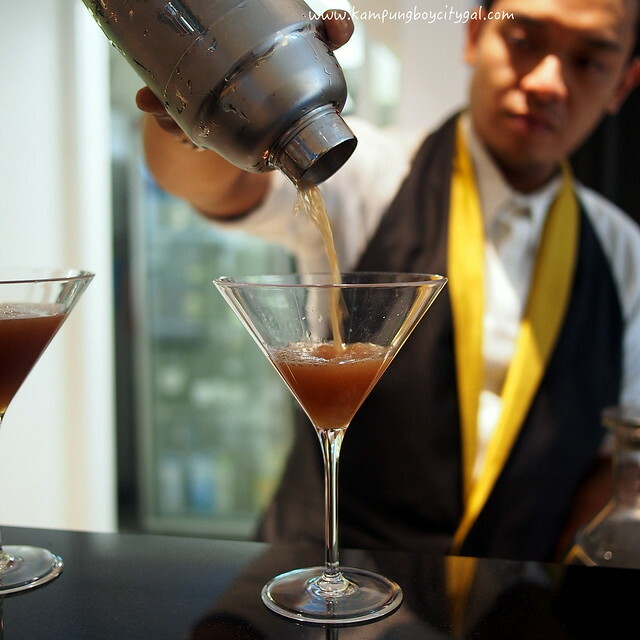 I really enjoy executing our third mission of the day – visit the cocktail bar at Sofitel So Singapore, taste and name three of the seven ingredients of their signature cocktail No. 35. Easy peasy! 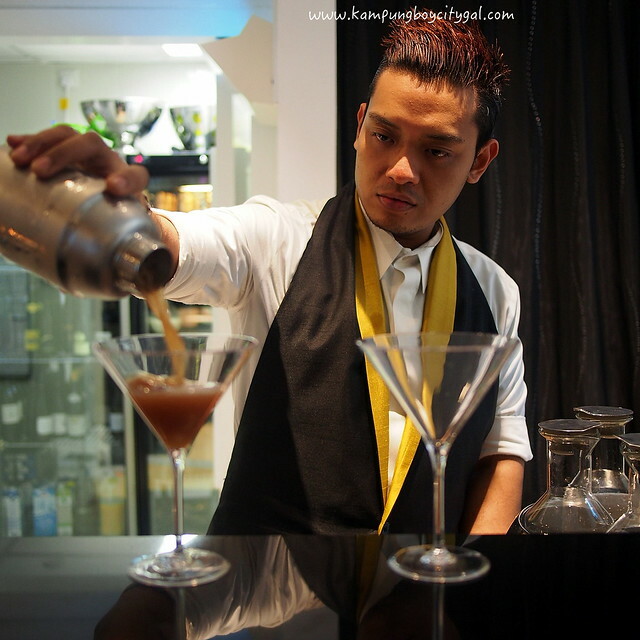 Pandan syrup, gin and cognac! I fell in love the moment I stepped into this restored heritage building where Sofitel So Singapore is located. It combines timeless French elegance blends with modern Singapore chic and surprise elements designed by Karl Lagerfeld. 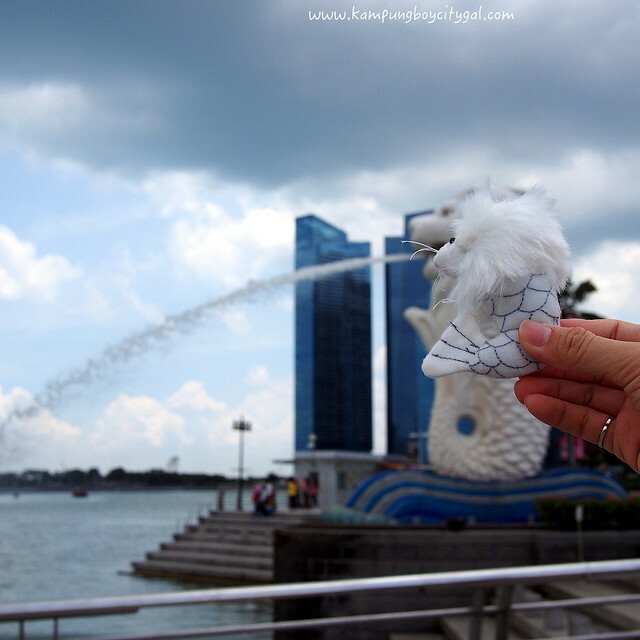 With weary feet and heavy hearts, we dragged ourselves to our fourth destination – the Merlion. 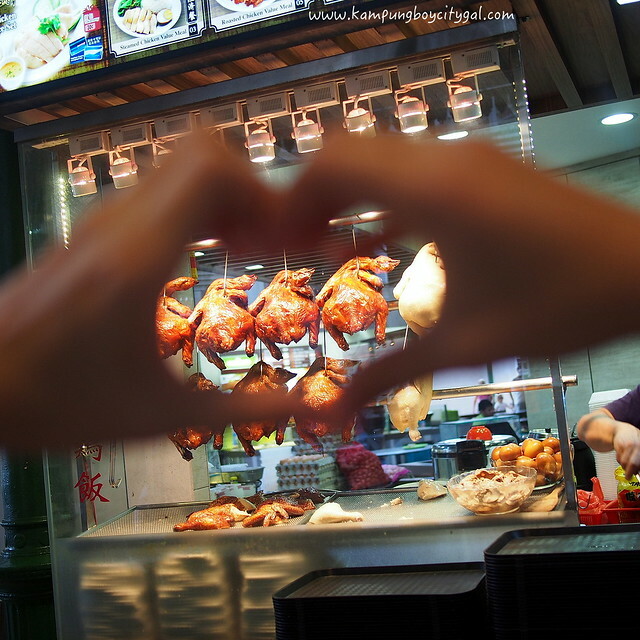 We were required to take a “creative” picture with this prominent symbol of Singapore and this was my best shot. What do you think? 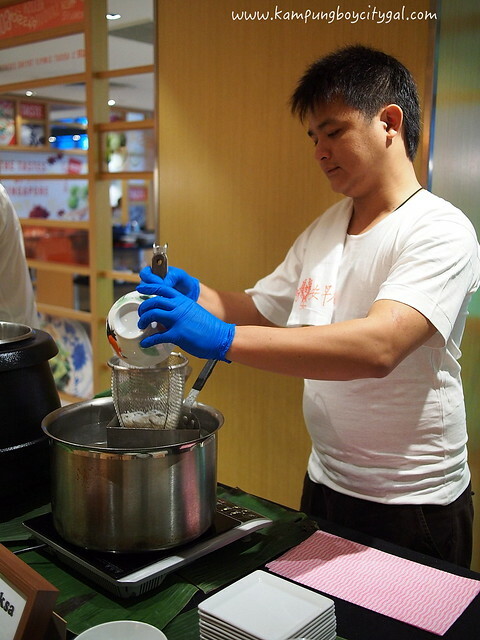 Our final task took us to Hotel Novotel Singapore Clarke Quay. “Take a creative video of you being welcome at the concierge”, the task paper says. And so we did this stupid video (which is very funny), watch it here. And lastly, we were required to take a picture of ourselves by the pool side and this is what we did! So gung-ho right? Our efforts were being paid off as the organiser announced that we came in second for the Singapore leg! Our best buddies from China won and we were really happy for them because Guan and Coco took some of the best and most creative shots ever! Thank you Fly Scoot for the flight vouchers, Accor Hotels for the Perth resort stay and Tourism of Singapore for your hospitality. Looked like a fun affair! The pool grout looks weird, though. Nevertheless, you sound like you had a great trip, and it’s easy to see why. Singapore looks lovely!